One piece of advice I took to heart - still do - is to never give up. Which is something we've all heard before, but it's so important. I queried for two years, and I know some writers who've been trying for much longer. If I had stopped, fed up with all the rejections and dead-ends, think of all I would have missed out on. And it didn't get any easier from there; I was on submission for another year and a half. But eventually we found Brian Farrey-Latz at Flux, and they've embraced SOME QUIET PLACE with an enthusiasm I thought only I was capable of for this story. So even when it looked like my dream wasn't going to happen, I kept going. Call it stubbornness or just plain stupidity. And I'm so glad I did. 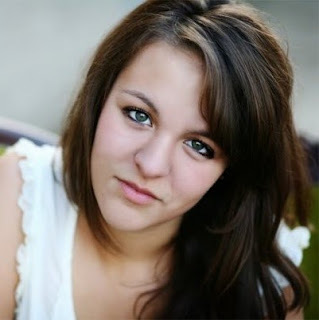 I would have to say Daughter of the Forest by Juliet Marillier. It's such a beautiful retelling of the Seven Swans fairy tale, and the romance makes your heart ache. I reread it at least once a year, and my copy is so stained and dog-eared that I should have gotten a new copy a long time ago. I'm too attached to it, though, so here's to another stain this year! Where did you get the idea for Some Quiet Place? I got the idea for Fear first, actually, and the rest came after. I was sitting at my computer, trying to think of a new idea. So I typed down a random sentence, something like, "Fear rooted me in place." It didn't sit right with me, but I kept staring at that word. Fear. And someone, someway, I erased the other four words and typed, "Fear is coming." The rest is history. Did you hit any snags while writing Some Quiet Place? What were they and how did you fix them? Not during the first draft, no, but the revisions were grueling. I ended up rewriting the last half of the book. See, originally, the personified emotions were fairies! When the manuscript was on submission, however, editors kept saying that the market for fairies is too full and they were looking for something new and different. Eventually we withdrew the book, and I created a mythology all my own. Emotions as, well, emotions. Nothing more. And it worked. It was just a lot of work changing everything and making adjustments so my world made sense. Which one of the characters in Some Quiet Place is your favorite and why? Fear. Real shocker, right? Sorry, but he's so delicious and entertaining. For me, it was effortless writing him because he just sort of jumped off the page. I hope it's the same for those reading about him. Hard-won. As you now know, I was querying for two years, and then on submission for another year and a half. There were many times I wanted to throw in the towel. Those hair-pulling days and nail-biting hours were completely worth it, though. I just finished the companion to SOME QUIET PLACE, actually! Same world, different characters. It's about a girl who sees Revenge and Forgiveness as personified beings (of course) and has to choose between them when the man who killed her family is released from prison. The tentative release date is next summer, and I can't wait for you guys to read it. My project right now... is top secret. Hopefully I can tell you about it soon. How did you go about writing an emotion as a character? Again, it was surprisingly natural. They all have different appearances and quirks. Some really emanate the emotion they represent while others seem entirely human. I just followed my instincts. Some Quite Place has a stunning, haunting cover - is it everything you wanted it to be? Did you get a say in what it looked like? It really is. I got so, so lucky with this cover. And yes, actually, I did get a say! My publisher presented me with some images they were thinking about using, and I picked this one from the line-up. They just went with it, and the result is amazing. In my opinion. What's great is that it really represents the aspect of the story itself, like the rural setting and how the identity of the girl is unknown and even coming apart. What's the most bizarre drink you've ever tried at your local coffee shop? 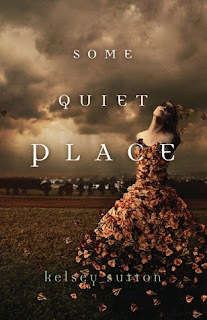 Kelsey is giving away a signed copy of SOME QUIET PLACE! Some Quiet Place: I can’t weep. I can’t fear. I’ve grown talented at pretending.